Adult conferences will be housed in student apartments and occupants will share common areas – living and dining room, kitchen, and bathroom. All beds are twin size. 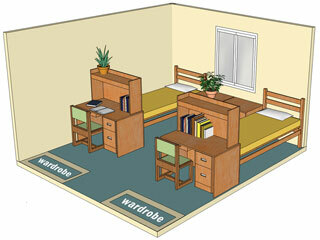 If you have a single room, you will have one twin size bed in your room. 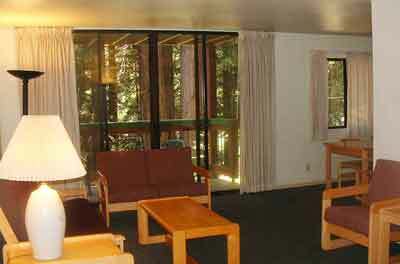 If you choose a double room, there will be two twin size beds. The apartments contain few amenities and we recommend bringing your own alarm clock and personal toiletries. Most conferences include bed linens and two towels and a washcloth. If you like the feel of your own towels, by all means please bring them with you.